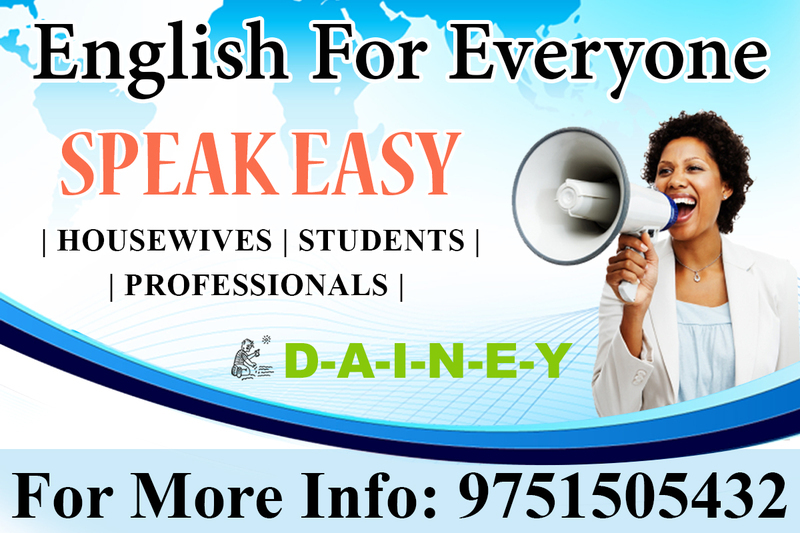 DAINEY EDUCATION is the best Spoken English Coaching Institute in Thudiyalur, Coimbatore. DAINEY’s expert guidance and intensive training has been helping students to get the job in all government sectors in India. We not only offer you complete guidance, we really build you up to the position you are seeking for. If you start your preparation now itself by joining our course then you will secure your dream job at one shot. 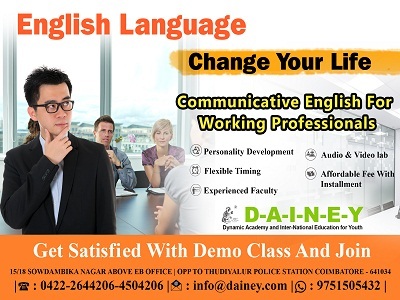 DAINEY Features: -Training by Qualified, experienced and Professional trainer - Individual attention - Evening/Weekend Classes Available - English classes for Professional, Students, House wives.